Welcome to the Dodgers, Jose De Leon! It's about frick'n time! I had made the above two fantasy cards weeks ago (in anticipation of this), and was worried that I might not be able to share them til next year. #Dodgers have called up Jose De Leon. He is expected to arrive tomorrow. I like the title of this newsletter. 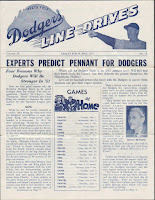 It states in bold letters, "Experts Predict Pennant for Dodgers", and it highlights the opinions of several members of the traveling press corps. As we know know, unfortunately, the Dodgers fell short of that goal. 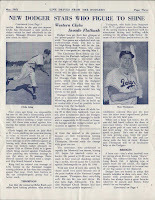 Their season ended when Bobby Thompson walloped an walk-off homer off of Ralph Branca during a final three-game series to decide the pennant. Four Dodger youngsters are noted as potentially being high-impact players for the club. 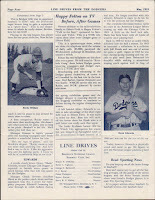 They are starting pitcher Clyde King, third baseman Rocky Bridges, outfielder Hank Edwards and outfielder Don Thompson. They also announce a brand new post game show for Dodgers broadcast hosted by Happy Felton. 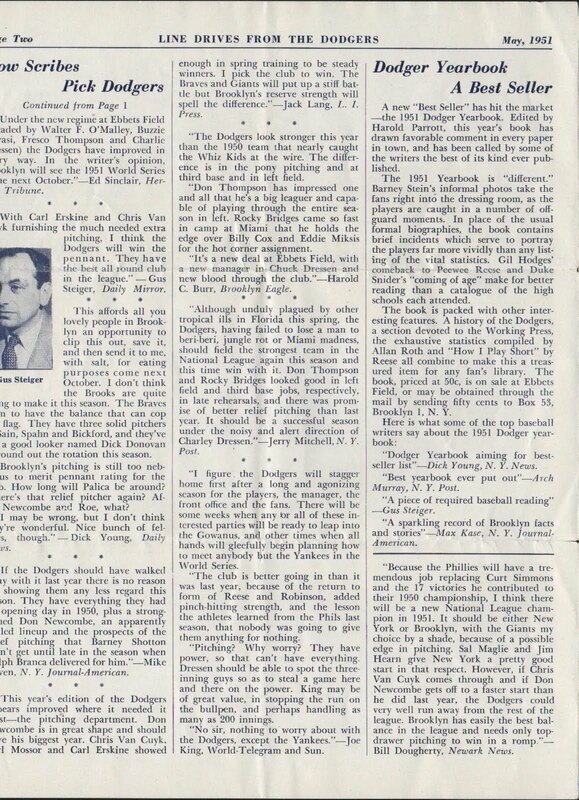 At the time, Felton was already hosting a pregame show called the "Knothole Gang" that featured kids working out and practicing with Dodger players. This new show would be broadcast after each home game and be titled, "Talk to the Stars". 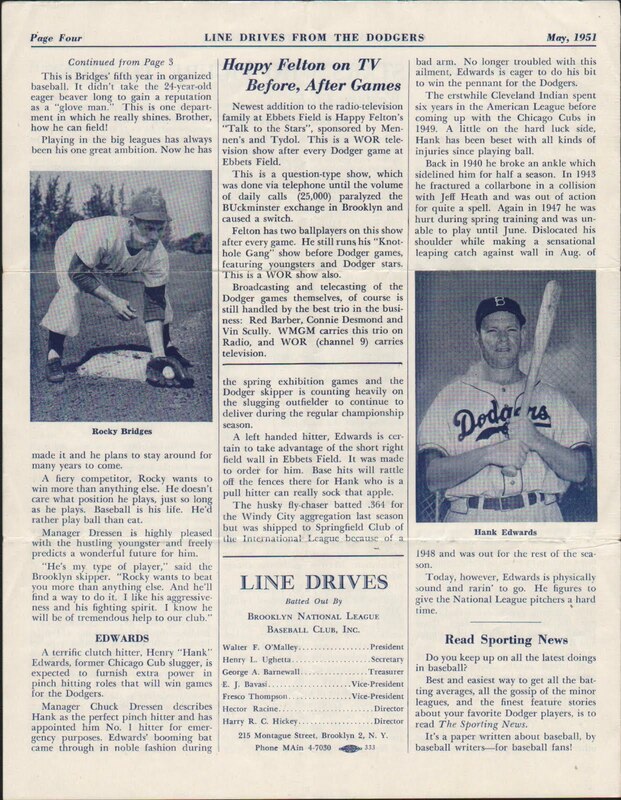 Fans would call in to ask direct questions to two Dodger players. 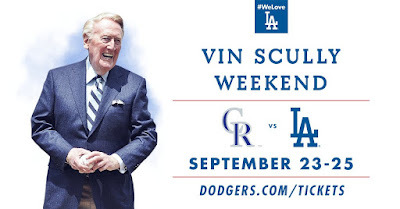 The package of simulcasts will start with the final weekend of home games against Colorado, which run Sept. 23-25 and includes Friday’s Vin Scully appreciation night. KTLA will also have the pregame ceremony starting at 7 p.m. to honor Scully. The Sept. 30-Oct. 2 games in San Francisco end the regular season. 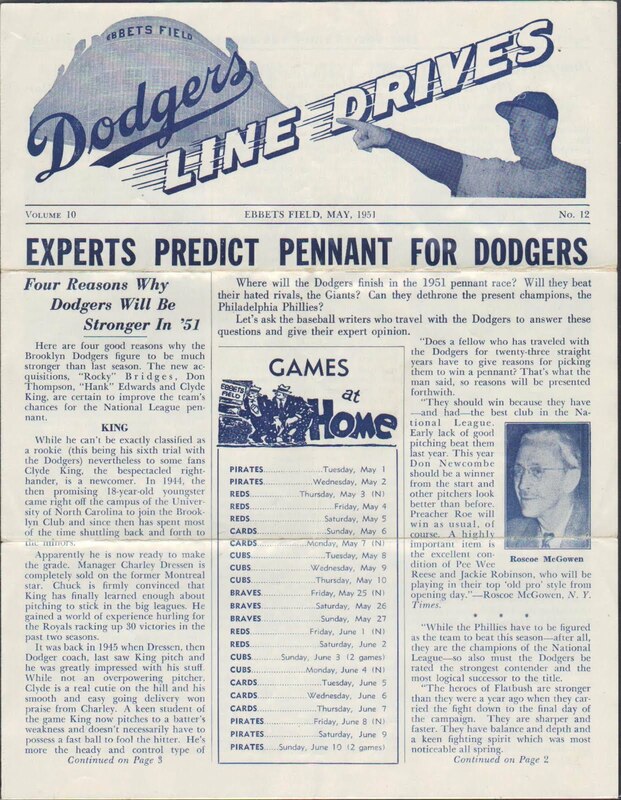 Should the Dodgers make the playoffs, the team expects to make arrangements for Scully to call the games on KLAC-AM (570) radio while they will be televised by a national carrier (ESPN, Fox or TBS). This far from assuages the anger and frustration that many fans, who have been unable to watch Vin and the Dodgers over the past three season, feel. That being said, this is an fantastic gesture, and it's greatly appreciated. But make no mistake, there remains a dark stain. 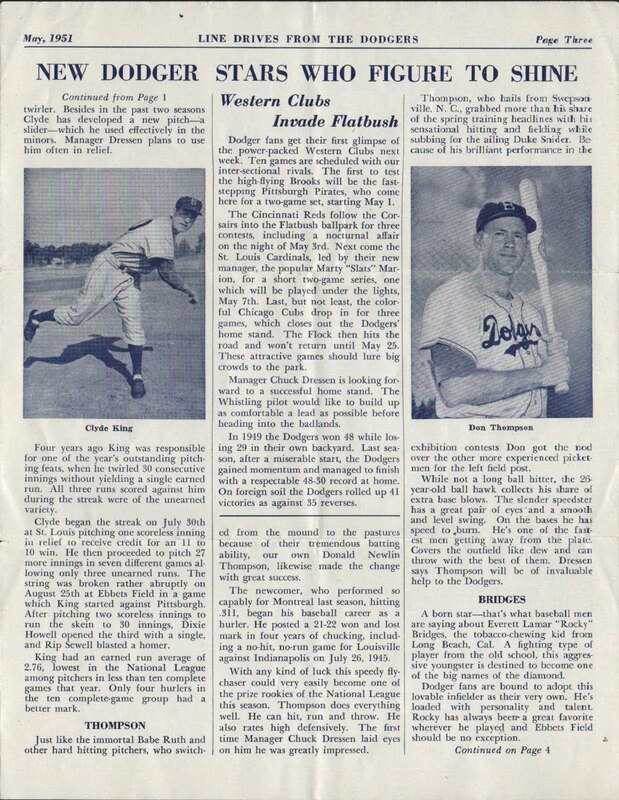 This Day in Dodger History: In 1971 Astros outfielder Cesar Cedeno hit an inside-the-park home run against the Dodgers when infielder Jim Lefebvre and right fielder Bill Buckner collided while trying to catch a short fly. In 1979 Manny Mota became Baseballs all time pinch-hit leader at 145. In 2003 Eric Gagne set a Major League record for consecutive saves over a two season period at 55. It was also his 47th consecutive save to start a season.